Cosmology is the study of the origin, evolution and eventual fate of the universe. It is studied by both scientists and philosophers, can include scientific and non-scientific propositions, and may depend upon assumptions that cannot be tested. Here, I offer a speculative layman’s cosmology which does not claim to present a scientifically verifiable conclusion on this subject. I adopt a more philosophical point of view. However, as much as possible, I believe we should seriously take into account leading scientific theories of the day. 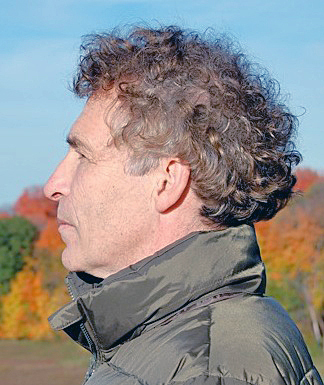 Although the existence of God has neither been proven nor disproven, from a scientific point of view, my thoughts on existence stem from a layman’s logic, intuition and common sense which indicate that a Creator, rather than chance, is the origin not only of all things, but necessarily of all principles and orderliness of the world around us. Not from randomness or chaos do the stars and planets in the sky stay put in their individual orbits day after day, year after year, but by the mathematical plan of a Creator. This is not just a belief, but a logical notion — a reasonable outcome of probability — that the chances are more likely the universe came about through the existence of a purposeful intellect than by some extraordinary accident. This conclusion has been held by some of the most prominent astrophysicists, mathematicians and other scientists, including Fred Hoyle, Cambridge University astrophysicist, and Owen Gingerich, senior astronomer at the Smithsonian Astrophysical Observatory. So, let’s start from the beginning. Where did the Creator come from? The ancient Greek philosopher Parmenides said something cannot come from nothing — a reasonable explanation for the layman of why “things” exist. It would seem reasonable to conclude that “something” always existed. We can call it Existence itself. If it always existed, Existence would be infinite — with no beginning and no end. Most scientists say the universe began with the Big Bang some 13.8 billion years ago, and it has a constant amount of matter and energy, which neither increases nor decreases. They also say that the universe is expanding. However, in 1998, they discovered — much to their surprise — that it is expanding at an accelerating rate of speed. Cosmologists have three basic theories about the shape of the universe and its ultimate fate: the Closed Universe, Open Universe and the Flat Universe. In the Closed Universe theory, gravitation eventually stops the expansion of the universe, and it will implode on itself. It was a popular theory until scientists discovered the universe was accelerating. The Open Universe theory postulates the universe will die by either overwhelming heat, or a “Big Freeze,” and the Flat Universe theory predicts the same fate as in the Open Universe. A layman’s cosmology speculates the Creator initiated the Big Bang and will continue to provide the matter and energy to allow the universe to expand and grow infinitely. Layman’s logic considers that if the universe had a beginning, but Existence itself is infinite without a beginning or end, the force to accelerate the expansion of the Universe could be coming from some source of energy in Existence. What then could be the force that produced the Big Bang and how did it develop? This line of thinking, of course, is usually not in the realm of most scientific inquiry. Scientists generally do not speak about forces outside the universe that caused its beginning, since they presently have no way of testing any theories concerning what existed — if anything — before the Big Bang. But it has always been of great interest to philosophy. That statement could be supportive of the possibility of a spiritual world, where people go to live after they die on earth. But what about the nature of Existence? Existence would have to have all the fundamental qualities necessary to later develop and produce all the variety and things in our universe. Aristotle, in his Metaphysics, XII 6, determined that all substances are composed of inseparable form and matter, both primal and eternal, where the form is the thought that molds the matter into substances. He calls prime matter “pure potentiality” which is capable of taking on any form. Later, the ancient Greek philosophers Leucippus and his student Democritus postulated — without the sophisticated mathematics and science of today — that all substances were made from tiny, invisible atoms — a word they coined. We can see from evidence in the quantum physics analysis of the atom that the Greeks were on to something. The atom is composed of even smaller subatomic particles, which we will see have a consciousness and purposefulness about how they act. In this way, they could be described as the form, or cause, that molds primal matter into unique substances, as Aristotle envisioned. Quantum mechanics says atoms are composed of a positive nucleus and negative electrons orbiting around the nucleus. 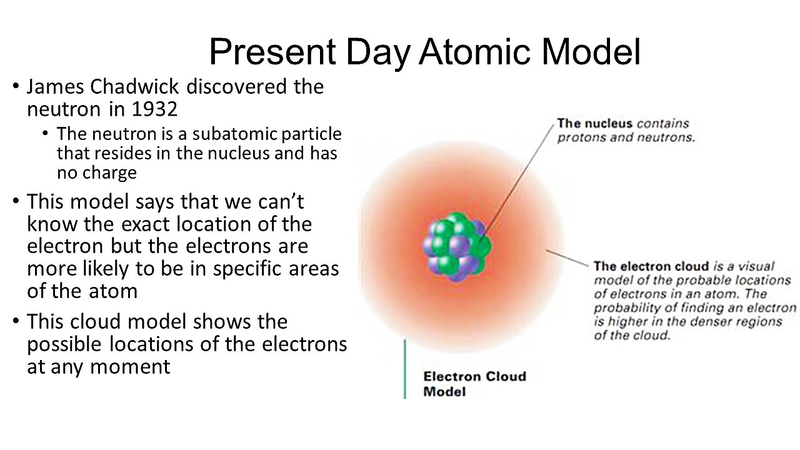 Within the nucleus are subatomic particles — also with + and – attributes — which carry messages and give instructions between the protons and neutron in the nucleus and between the nucleus and the electrons. We should consider the idea that Existence is composed of pre-Big Bang infinite Prime Matter and Prime Energy — the source of the matter and energy of the universe. What characteristics, then, would be embedded in this Prime Matter and Energy? Scientists like to reduce things to common denominators — to the smallest particles that together still retain the essential characteristics of the whole. Let’s imagine that this Prime Matter and Energy are composed of Prime Particles and Prime Atoms, which are the origin of atoms in the physical Universe. We can imagine then, that particles were the first eternally existent stuff, bound together to make atoms. At the same time, when these original particles interacted and the atom was created, we have matter and energy, time and space, internal and external, male and female, and of course a consciousness that informed the particles to interact. So, were the particles just by themselves eternally existent, or were the particles interacting to became an atom eternally existent? That’s hard to fathom, but we might be to the point where the proverbial chicken and the egg have merged. It would appear that Existence might be likened to a vast, endless sea of particles and atoms, with the potential, as Aristotle saw it, to be made into an infinite variety of substances. All that was wanting was a being with the mind to create. Layman’s logic would furthermore suggest that interaction between the Prime Matter of + and – particles have to harmonize, and not be in conflict, otherwise they would destroy themselves and there would be no Existence. We might conclude, then, that the original particles harmonize and unite as a creative force, rather than a destructive force, which could be considered benevolent energy. Quantum mechanics tells us that particles have the “mind” to unite into atoms, while atoms have the “mind” to unite into elements and molecules. Could it not be envisioned, then, that the Original Particles and Atoms of Existence would also begin to unite, and when they reached a certain critical mass, the combined consciousness of all those atoms could give birth to a being that became self-aware — a Creator that realized, “I am.” Since this Creator is composed of benevolent Prime Matter and Energy united together in a harmonious way, we can understand the religious concept that God is Love. This Love consciousness could be understood as the internal character of God, while the Prime Matter and Energy could be understood as the external form of God. Thus, we might conclude that spirit did not come from matter, nor did matter come from spirit. They both are eternal in the Creator. A layman’s cosmology could conclude that the Creator is Existence itself, composed of infinite Prime Matter and Energy, motivated by Love, and is the Love consciousness of Existence. The Creator, made up of fundamental + and – parts, has the attributes of time and space by virtue of the particles that interact and revolve around each other, and is also both masculine and feminine. Thus, layman’s logic suggests the Creator, with an infinite amount of Prime Matter and Energy, used His/Her Consciousness, Intellect and Heart to create the physical Universe out of His/Her own being. We also naturally come to the opinion that the quantum atoms and particles of the universe are a mirror image of God on the physical plane. DP goes on to say that particles actually “exist” for the purpose of forming atoms, which then form molecules, and eventually plants, animals and all things. The quantum atom may be the link that connects God, the Spiritual Word and the physical Universe, in that it is the basic model and building block for God and the two worlds. So, when the universe got its start through the Big Bang, as scientists explain, the acceleration of the expansion of the universe can be understood as an infinite, continuous supply of matter and energy being pumped into the universe by the Creator, making the universe ever-expanding, growing and eternal. Therefore, the fear the universe will eventually run out of energy and implode on itself by the force of gravity, or that it will burn up or freeze, may be unfounded. A layman’s cosmology can offer some possibilities on how God might have developed the basic concepts and foundation for creating things in the physical world. After the Creator was born, S/he experienced the explosive power of Love, multiplying through the interaction of units of + and – in His/Her own being, which began to rotate and revolve around themselves. S/he experienced this and it was good. God began to experiment with changing the speed of rotation and revolution of these units of Prime Matter, as well as the angles and direction of their movement. That created different “sensations” which He could experience, which made Him “feel” good. The Creator began to classify various spectrums of sensations She was experiencing, until She had five different classes of sensations, each with its own spectrum or variations according to the different groupings of +, – units, and the speed, angle and direction of the forces which She manipulated. God then was able to conceive of a fundamental form that would be able to incorporate these five classes of sensations as both transmitters and receptors of those sensations. That essential form is the body of man and woman, who God needed in order to have a partner of love. The result would be the relationship of love between man and woman, which when they united, would become the ideal partner for God. The transmitters and receptors of the five classes of sensations became the ears, eyes, nose, skin (for touch), and mouth (which houses the voice transmitter and taste receptors). The Creator could now create infinite variations of the human body, in plants, fish, animals, insects, etc., to populate the world of His partner, man and woman — but first the Creator would have to create the spaces or places for people to exist in: the Physical World, where humankind would be born, and the Spiritual World, where they would go to live with the Creator eternally. Image at top: An artist’s conception of the Big Bang. Nice article, but it seems nothing more than speculation and aggregation of extant thought. Some of them are pretty good speculations, though. In fact the universe is not expanding but is infinite. We can’t see or measure infinitely so practically speaking it is, for us, finite. But that’s just the perspective from our vantage, not reality. Not only is it infinite in terms of “space-time,” but infinite in terms of existence. It operates through lifecycles of renewal at all levels, including that of stars which science today thinks permanently burn out, leading to a state of heatlessness and hence universal death, or cessation. 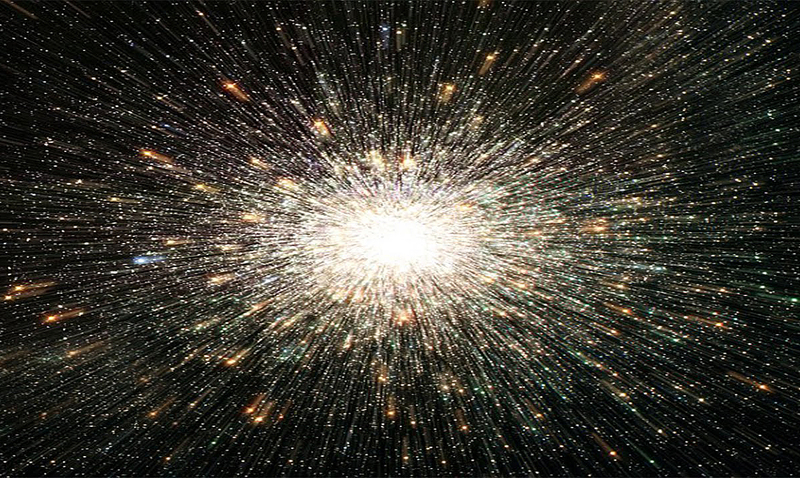 But star burnout is merely the beginning of a lifecycle of star renewal. Also, love is not the centrality of creation, nor the universe or its Creator. Freedom and love together are; two sides to the same coin, they don’t exist independently but only in pair…much like human beings only exist in pair. Freedom is a state of existence while love is an expression of that state. Well, plenty more to say on those topics! I discuss these and other such concepts in my forthcoming book The Story of Life, presumably ready in late Spring 2019. You proposed the following equation, “Freedom is a state of existence while love is an expression of that state”. Because of my great respect for your thoughtfulness and excellent ability to articulate your thoughts, exhibited in many comments on posts in this blog, I found the equation tantalizing. You suggested that I wait for you to unpack it in a forthcoming book; however, because I am tantalized, I could not wait, but set out to unpack it. Accordingly, I next state the result, and will then give some relevant quotations from EDP suggested by the result. Heavenly Parent stimulates one’s heart (and, I believe that He does it continually), which is the impulse to give love to the greatest effect imaginable. There are innumerable actions that may result from this stimulus, so that one’s “state of existence” (I prefer the term, ‘condition’) is freedom. Any so resultant action is an action of love; hence the equation. In the more detail, the stimulus immediately prompts the desire to so give love, and this emotion is then channeled by the action upon it of one’s intellect, which evokes one’s knowledge (one’s reservoir of memories, one’s understanding of present circumstances, and one’s understanding of laws) and engages in the process of reasoning upon it. The result is the will to a specific action. In the determination of the scope of love to be given, whether to part(s) of oneself or part(s) of the imagined whole, evil forces seek to intervene, tempting one to narrower scope. That is, if one’s condition has been established as a result of a sin. Thanks for your reply, John; it was interesting. I’d just say that Divine Principle is limited in its cognizance of God so it’s not helpful here. If God (or H. Parent as you say) “stimulates one’s heart…continually” then people are not actually in a state of freedom but of manipulation. That’s what “stimulate” means; to provoke a specific response. Your use of “condition” for a “state of existence” is instructive because condition is not a state of existence at all but a mode or form of existence. A state of existence is primordial, the premise of all that follows. Love expresses one’s state of existence; one’s state of existence is not premised on its own expression. Love doesn’t exist outside of freedom because freedom is the premise of love. The conceptual problem here is that people want to think love is central and thus freedom follows from a state of love but that’s incorrect. Freedom is central and love blooms from an existential state of freedom but it is not a condition or result of freedom. They’re not cause and effect but I suppose more self-referential: freedom premises love yet requires its maintenance; love requires freedom yet premises its existence. This exceeds Divine Principle and Unification Thought’s capacity, necessitating a need to step to the next level…although its “individual truth body” concept is far from exhausted (just ignored). Divine Principle wants to describe the God-Man relationship as analogous to the parent-child familial one, yet instead defaults under cloak to the ruler-subject relationship. We can “stimulate” our children all we want, yet can we — or ought we? — to “guide” them into the Way of Being we desire? We love our children, yet do we love them for the purpose of circumscribing their freedom to suit our purpose? We dress it up in flashy clothes with “freedom requires responsibility” and “it’s for your own good” and “there’s no freedom outside Principle or the rule of Law.” But these are shibboleths that hide the true nature of the desired state of existence: unfreedom. Then we wonder why love fails. The creator of humanity created us to exist exclusively in a state of freedom. Love is its desired expression to achieve existential (as opposed to present-in-the-moment) happiness — another large subject to tackle — but not its preordained outcome. That’s probably all I can say in this short space. Thank you for your thoughtful/careful attempt to guide my understanding of your comment. I understand you to hold that at least humans exist in a state of freedom, and I agree with that. I also agree with your formulations of the relationship between freedom and love. To give love is to act toward aiding another. To help another is to stimulate expansion of his/her range of freedom or to provide an extended opportunity for his/her giving of love. You state that to stimulate is to coerce. I am puzzled as to how an ethics without stimulation could then be developed. In my understanding, God, in stimulating a person’s heart, is not envisioning or directing a decision for a specified action, but simply awakening or giving empowerment to the general impulse to give love. (This meaning of stimulation is found in some dictionaries) If there were no God, the force inherent in the creation principle would promote such reflecting, presumably based upon the principle of dual purposes. We have been educated to categorize humans as a species, itself a category of organisms. By definition, members of a species share certain characteristics/aspects of a mode of existence. These include not only tendencies or inclinations, but also limitations on possibility. By 1947, when I was still in high school, I held the assumption that human beings are altruistic. As a Unificationist, I refined this assumption in my comment on Dr. Mickler’s post “Where Does Unificationism Stand on Birth Control?” I formulated it as “the fundamental impulse of a person is to give love as intimately as is possible and effective toward the greatest possible scope imaginable.” It is further refined in my comment on Dr. Noda’s post “Interpreting the Principle,” and still further in my PowerPoint presentation on parenting. I am prepared to fill in the missing details in my formulations. To conclude, I think you misunderstand DP’s freedom in the phrases that you quote. It is the freedom to will and actualize the desires of the original mind, in other words, one’s fundamental impulse. True love cannot be given in violation of the creation principle and what laws may be involved. ‘Responsibility’ here means freely chosen. Evil forces tempt us to violate the principle by choosing to inordinately try to realize an individual purpose. To so choose is internal alienation, which was first discussed by self-described Marxist Christian Dorothee Soelle. I cannot find anything in DP indicating the parent-child relationship as ruler-subject. In its mythic account of creation and fall, God so respects the dignity of the children as to self-restrain from preventing the tragedy, even though God will suffer with the children if it occurs. (A somewhat demythologized version would have God creating laws that could not be modified, creating the possibility of the tragedy, while knowing that that would be necessary if the ideal held during creation were ever to be realized and knowing the scenario in which it surely would eventually be.) In my PowerPoint parenting workshop, a parent’s respect for the child’s dignity is a major theme, along with offering increasing responsibility as a child matures.